So I finally got round to doing a little crafty project for our bedroom. I have seen this on Pinterest and thought it was such a simple but effective idea. 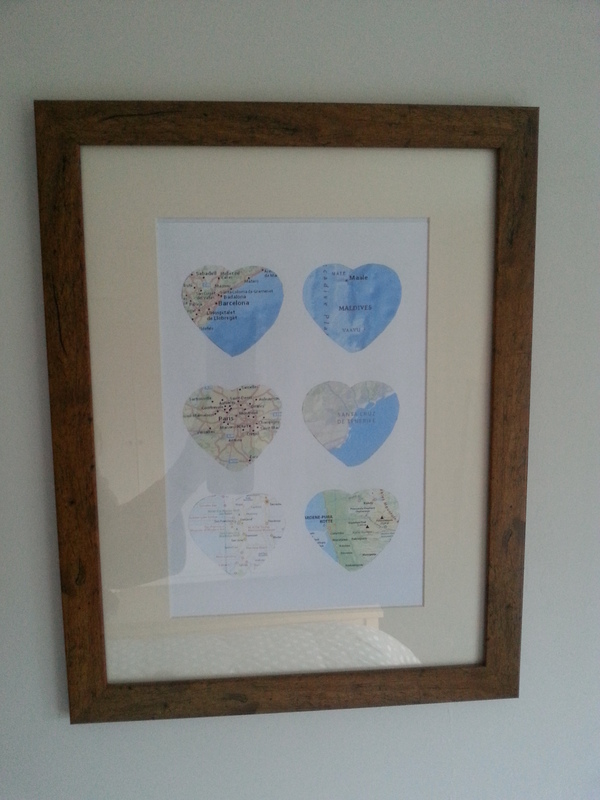 To display in a frame all the locations of places that my husband and I have been to over the years, places that have special meanings or memories for us. Then print off from the internet maps showing where we have been on holiday, so the ones I chose were Las Vegas, Maldives, Sri Lanka, Tenerife, Barcelona, San Francisco and Paris. Here is the finished article! So for less than £5 and about 30 minutes of my time produces something unique and personalised. More posts on my crafty projects to come. Maybe you should try it!